With rumours that the Gallagher brothers are getting back together for Glastonbury, we take a look at their best (and worst) albums! 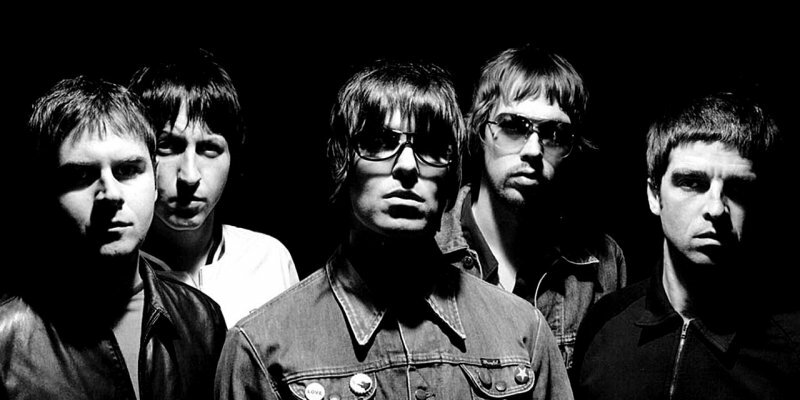 Hell has frozen over and pigs are flying everywhere; Oasis might be reforming for Glastonbury. Yep, Noel and Liam have apparently put their (many, many) differences aside to treat the world to another bout of anthemic lad-rock (and perhaps make a couple of million selling CDs). Although, it’s not actually confirmed yet. In fact, the only real evidence anyone has is Liam tweeting the word ‘Oasis’ letter-by-letter before signing it off ‘Oasis LG’. It’d be horrible if this was just a misinterpreted spelling lesson. Either way, we’re a little bit excited so we’ve decided to look back in anger (haw haw) and reflect on the works of the brothers Gallagher. Here’s the best (and worst) of everyone’s favourite Manc rapscallions (and their mates). 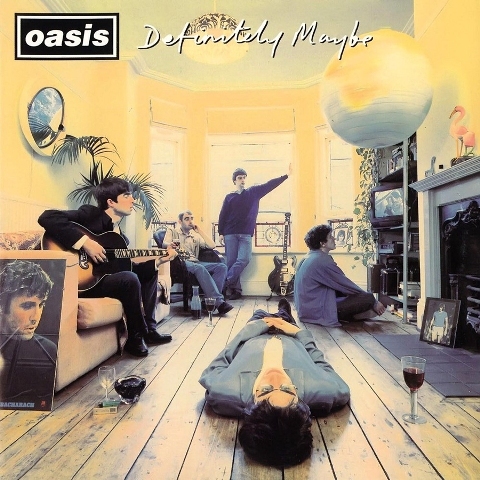 The album that started it all, ‘Definitely, Maybe’ is nothing short of classic. NME even named it ‘the best album of all time’ in 2006, despite only giving it 9/10 when it came out. All you need to know is that it has ‘Supersonic’, ‘Cigarettes and Alcohol’, ‘Slide Away’, ‘Rock N’ Roll Star’, ‘Shakermaker’ and ‘Live Forever’ (the best Oasis song) on it. Also, it sounds pretty damn good for a 20 year old album. Best tracks: Already listed ’em, although the whole album is great. Dig out your parka and round sunglasses and have a boogie to the whole thing, our kid. AKA the one with all the songs people know on it. 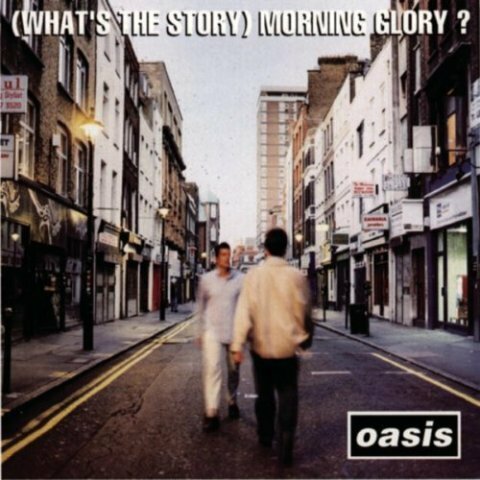 ‘What’s The Story…’ is the album that sent Oasis into the stratosphere and made them international superstars. Weirdly, it’s not actually as good as ‘Definitely, Maybe’, with Noel preferring a slightly softer approach to the swagger of their debut. Not that it matters; ‘Champagne Supernova’, ‘Don’t Look Back in Anger’ and ‘Roll With It’ cemented Oasis’ status as the biggest band in Britain. And, of course, this album also spawned ‘Wonderwall’, a cultural monolith that finally gave sweat-and-beer-drenched gentlemen a way to express their feelings in town centres at 3am. Lovely stuff. Best tracks: ‘Champagne Supernova’ is the stand-out, but ‘She’s Electric’ is a nice tune too…oh, alright, ‘Wonderwall’ too. 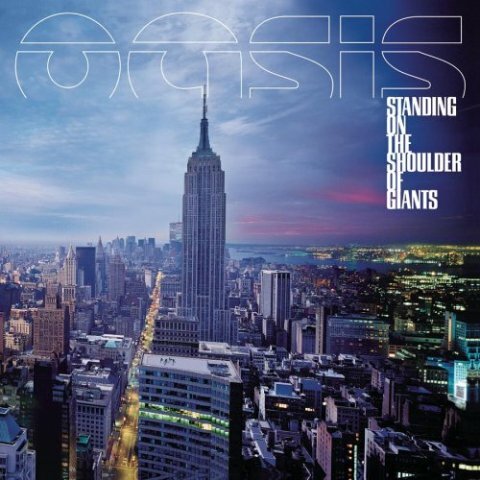 Noel Gallagher famously described this album as ‘f*****g s***’, which probably tells you all you need to know. 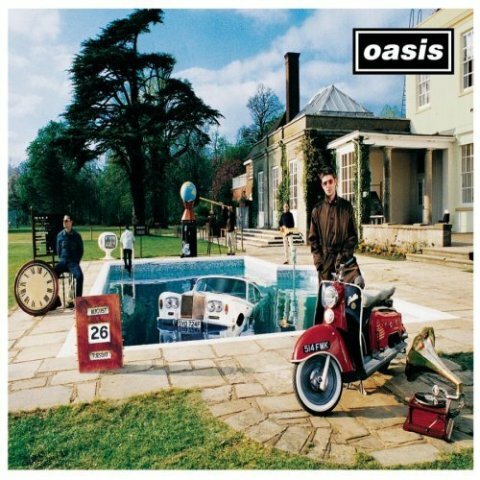 This was Oasis’ first album after hitting the big time, and it shows. 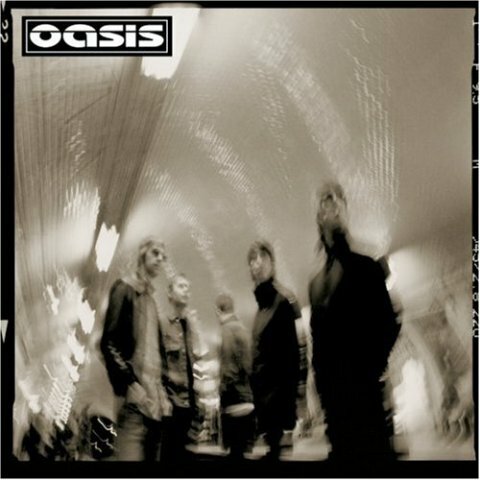 It’s overblown, opulent and lacks the charm of Oasis’ previous records. If you thought ‘Live Forever’ could be improved by being 9 minutes long and featuring an orchestra, this is the album for you. In fairness, the album was well received at the time and there are some decent tracks, ‘Stand By Me’ being one. Overall, though, it’s a bit too much. Best tracks: ‘Stand By Me’ and ‘All Around The World’, just because it’s the longest UK number 1 ever (at 9 minutes). It’s ‘difficult 4th album’ time, and we join the brothers Gallagher as half the band have left and one of them (Noel) is recovering from a drug addiction. Sounds like the conditions for a great album! As expected, this is Oasis’ ‘dark’, experimental record, taking influence from psychedelic rock and electronica, amongst other things. It’s generally considered to be a bit of a flop, but it’s worth a listen if you want to hear Noel’s talents beyond raucous sing-a-long anthems. Oh dear. It’s the dud in the collection. ‘Heathen Chemistry’ is Oasis at their most pedestrian and boring, churning out pub-rock standards in an attempt to go ‘back to basics’. There’s not much point to this album really; it’s just a worse version of ‘Definitely, Maybe’. That said, ‘Stop Crying Your Heart Out’ is pretty good, even if it will forever be associated with a Ronaldinho free-kick floating over a helplessly flailing David Seaman in the 2002 World Cup. Best tracks: ‘Stop Crying Your Heart Out’. That’s about it. 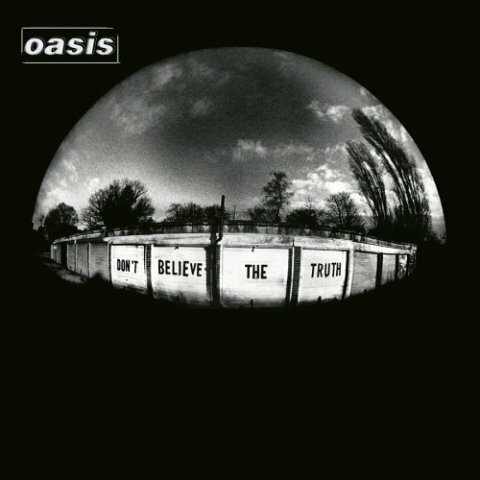 A return to form for the Gallaghers, ‘Don’t Believe The Truth’ is the pick of the post ‘What’s The Story…’ albums. It spawned two brilliant singles in ‘Lyla’ and ‘The Importance of Being Idle’, and features 2 songs written solely by Liam, although Noel’s are still the best (Team Noel 4eva). All in all, a good record. Best tracks: ‘Lyla’, ‘Love Like A Bomb’, ‘The Importance of Being Idle’ and ‘Let There Be Love’. 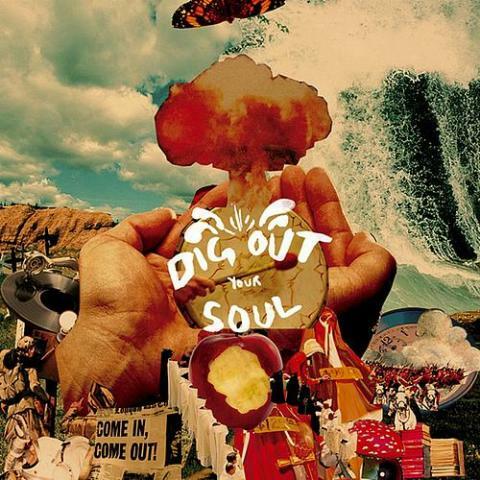 ‘Dig Out Your Soul’ was Oasis’ final album and was somewhat overshadowed by the final implosion of the Gallagher’s relationship a year after its release. Best tracks: ‘Waiting for the Rapture’, ‘To Be Where There’s Life’, ‘Falling Down’. Let us know what you think on Facebook, Twitter or in the comments! Tired of your Oasis albums? Sell CDs to musicMagpie! View all post by Steve King.